Content marketing done right is a seriously cool thing—and I’m not just saying that as Managing Editor of a content agency or as a word nerd who is wearing Harry Potter socks right now. I love words. I love content. I have the attention span of a small child because I’m constantly toggling between great stuff: listicles, food videos, in-depth long reads, and gorgeous illustrations that have me hitting the like button so fast my thumb hurts. This simple but timely illustration on the EBS Facebook page generated 200 comments and over 700 likes. Not too shabby, eh? Much as I love content, not everyone is so swayed. Sure, content is ubiquitous—but so are the myths and the misunderstandings. To celebrate the new year, we’re taking a look at the 15 biggest myths that need to be left behind to die a death in 2015. Content marketing takes time. While a certain level of automation is required, nothing screams ‘we want to communicate with our customers but not enough to be here’ like rushed automated content. Embedding smart forms and call-to-actions. Super personalised email automation via the magic of inbound. Tailoring and sponsoring ads to a chosen audience. Do that. Do lots of that! That’s the kind of automation that requires time, great assets, and lots of research. That’s not the kind of automation that considers a social ‘strategy’ to be grabbing links from the net and scheduling five across a week. Automation can, and often is, taken too far. Nothing will put a customer off like an impersonal approach. Think of it like this: if you walked into a physical electronics shop on the hunt for a new tablet and the salesperson greeted you with “Hello customer, here is information about this new TV that you might like”, you’ll be seriously put off. Nope. Not everyone does. Blasphemy! You’ll find thousands of blog posts telling you why you should be writing a blog, but here’s the thing: not every niche has an audience. Plenty of industries have been revolutionised by content. Take, for example, the Cleveland Clinic, an American hospital and online juggernaut that drove its web traffic from 8,000 to 4 million visits. That’s a 53,000% traffic increase and a phenomenal result. But what’s the catch? The Cleveland Clinic has put boundless hours of work and big chunks of budget into creating content that people want to read. In many ways, it’s the perfect industry for it. Content works best when it informs and solves a problem. And what’s more relevant to every person ever than their health? But every industry doesn’t have this catchment area. However, that doesn’t mean that content isn’t for you! Content is everything you create: it’s copy, it’s images, it’s videos. It’s social media and apps and letters you send in the post. Managing client expectation is a big part of content marketing and working with clients. Most clients understand that content quick wins are possible but not plausible long-term. Content is a strategy—a project that requires work to grow. Writing two blogs or sending a couple of tweets likely isn’t going to bring overnight success. This is another misconception that looms large. Many newbie marketers think that plugging a keyword into a plug-in like SEO Yoast is enough to ensure that your content will rank. But here’s the thing: there are hundreds of ranking factors and everything you write isn’t going to rank highly unless you’re a massive site turning over millions of hits a month. Of the dozens of articles published to BuzzFeed every day, much of it is barely read–but, and it’s a big but, enough of it goes viral to make it worth it. The truth is that if you’re writing in a crowded market or are just starting out, a perfectly optimised post may not rank. So what should you do instead? Focus on long-tail keywords and outreach/amplification. Use Keyword Planner to find keywords relevant to your industry. Comb through them and look for keywords/phrases with decent traffic but low or medium competition. Mine into the stats, spot an opportunity, and pounce! Content marketing is holistic: all the little things create one big thing. 74% of marketers believe email produces or will produce ROI in the future. 73% of marketers think email marketing is key to their business. 60% of marketers claim that email is a critical enabler of products and services. 20% of marketers say that their business’ primary revenue source is directly linked to email. Email is definitely not dead! Social is in a particularly interesting place right now. Twitter is rumoured to be embracing 10,000 character long tweets—which is a bit akin to upgrading a gif to a full length movie. Rumour has it that tweets will have a ‘read more’ button which will expand to contain whole posts. Facebook are slowly but surely turning into a one-stop destination feed where users may never even have to leave the site/app to access videos, music, radio, articles and more. The idea of social media is simple—but the execution is more complicated. Anyone can write a tweet or ‘borrow’ an inspirational quote from someone else on the internet, but that doesn’t mean you’re getting the most out of the platforms you’re on. 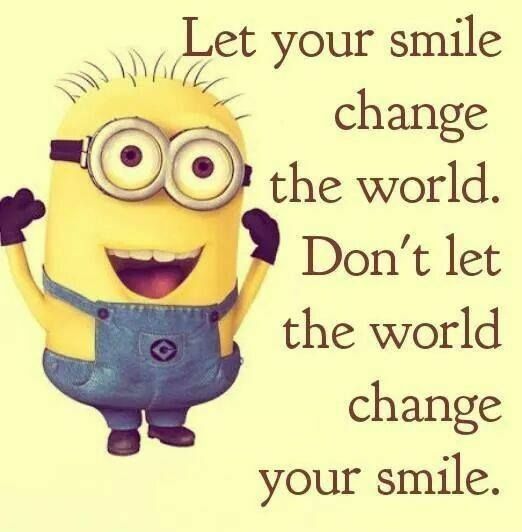 Posting an inspirational photo superimposed over a minion is not social media marketing. Why is this a thing that exists? As MC Hammer once said, “stop Hammer Time”. The emphasis here is on the stop. Marketing is based around trust. That doesn’t change whether the medium is online or out in the real world. You wouldn’t put a poorly made flier up in your shop window. The same goes for your website or social channels. Cheap content just isn’t worth it. Yes, that’s a maniacally happy donut waving a flag around to remember the people who died at Pearl Harbor. This is probably the ‘mistake’ we see most often: brands who see content as the mouthpiece for their product. The golden rule is 30% promotional and 70% useful. Absolutely use content marketing to talk about your product, but make sure you always include a mix of useful, fun content too. An intern, good as they may be, does not a content strategist, creator, and amplifier make. While content can do great things for SEO, it doesn’t exist in a vacuum. Building links, advertising on Adwords, and partaking in amplification and outreach are still an integral part of your digital strategy. Again it’s holistic: all the parts work together. Inbound marketing is reasonably new in Ireland. In our content marketing survey, we found that only 14% of those surveyed were using a content marketing management software like HubSpot or Marketo. If you’re not really sure what inbound marketing is, as many marketers aren’t, it can sound unnecessary complicated. The bones of inbound is about creating brilliant content assets that are genuinely useful to potential leads. It’s not a hard sell, but the careful nurturing of leads who are actually interested in your product or service. Think about it like this: more people than ever are skipping ads, using adblocking software or streaming services. Banner ads have a tiny click-through-rate. TV ads are routinely fast-forwarded through alongside falling ratings, rising torrenting, and the slow death march of print. Inbound is the perfect methodology to fill the gaps. As David Ogilvy once said, “inbound marketing is where it’s at.” Okay, he didn’t actually say that, but he would if he was alive in 2016. While a sale or conversion is an obvious end-goal for content, it shouldn’t be the only goal. Definitely don’t discredit the power of brand awareness and the careful shuffling of leads down the funnel. A lead may not want to buy from you now but if your content is great they might recommend you down the line to a friend, or purchase from you in the future. Conversions don’t have to happen right then on the page to be useful. Okay, so here’s a thing about me: I’ve seen every episode of America’s Next Top Model ever. Some of them twice. I love it. So Tyra Banks, the host, was fascinated by the idea of going viral—of making a viral video. You don’t “make” a viral video. Content goes viral, absolutely. You can approach a video with the intention of blowing it up too. Look at the Thunderclap or social influencer agency Social Chain who harness the power of social influencers to create a trend for big brands. Their aim is to go viral but it’s not something they can guarantee or make–or certainly it’s not something brands that don’t have Social Chain’s network of influencers on their books can guarantee. Content is everywhere—and that’s not even hyperbole. It’s everything you create: your printed collateral, your website, your tweets, the images you take of your products. As any marketer knows, each of these things is vital. You wouldn’t build a shop and never tell anyone about it – so why treat your website like that? If no one can find you, how do you expect your business to flourish? Want to set your company up for success in 2016? Want to use content to succeed? At 256 Media, we get content. We do it well and we have the success stories to back it up. Our award-winning team can create brilliant content to wow your leads and turn them into customers. Sound good? Get in touch or email adrian@256media.ie to get started. In the meantime, follow us on Twitter and Facebook for all things content.